An exchange rate can always be expressed in two ways. If the exchange rate is 80 yen per dollar, it is also 1180 (= 0_0125) dollar per yen. 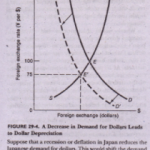 Throughout this book, we always express the nominal exchange rate as units of foreign currency per US. dollar, such as 80 yen per dollar. If the exchange rate changes so that a dollar buys more foreign currency, that change is called an appreciation of the dollar. If the exchange rate changes so that a dollar buys less foreign currency, that change is called a depreciation of the dollar. For example, when the exchange rate rises from 80 to 90 yen per dollar, the dollar is said to appreciate. At the same time, because a Japanese yen now buys less of the US currency, the yen is said to depreciate. When the exchange rate falls from 80 to 70 yen per dollar, the dollar is said to depreciate, and the yen is said to appreciate. At times, you may have heard the media report that the dollar is either strong or weak.These descriptions usually refer to recent changes in the nominal exchange rate, When a currency appreciate is said to strengthen because it can then buy more foreign currency, Similarly, Berber. current depreciates, it is said to weaken. For any country, there are many nominal exchange rates. The U.S, dollar can be use to DUTY Japanese yen, British pounds, Mexican pesos, and so on. When economists study changes in the exchange rate. the> often use index that average these many exchange rates’: Just as the consumer price index turns till man. 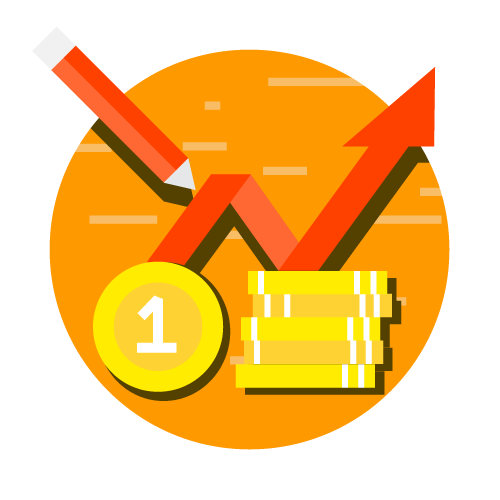 prices in the economy into a single measure of the price level, an exchange rate index turns these ms , exchange rates into a single measure of the international value of a currency. So when economists about the dollar appreciating or depreciating, they often are referring: to an exchange rate index that take into account many individual exchange rates.